28 seconds, and a boiled egg. 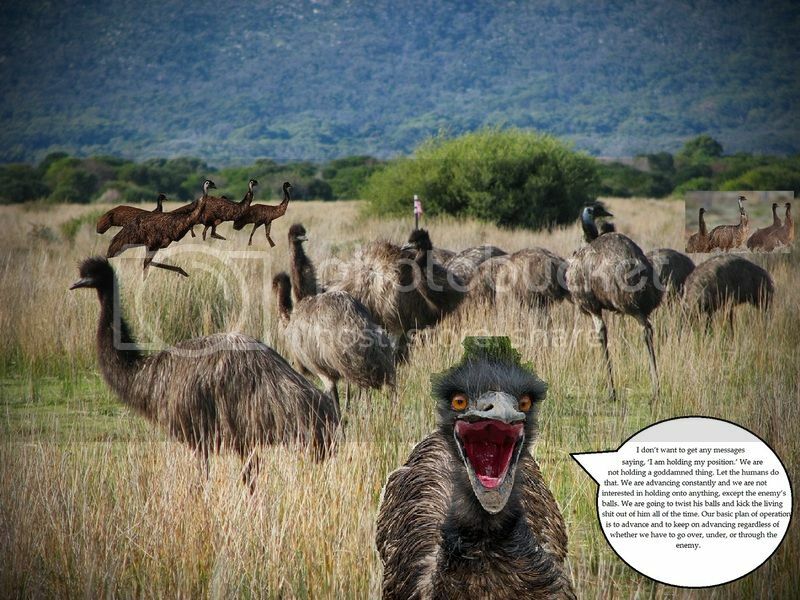 I'm sober now, so I will say that my favorite animals is emus, because those damn Aussies got the beating they deserved thanks to emus. Eat any good fruits lately? You don't keep fruit in YOUR hair? Sadly, no. It's the worst fruit season here right now.